We service the Atlanta, GA area from the southside to the northside. From homes built in southwest Atlanta during the 1940s to prestigious locations such as Morehouse College, our work can be found all over town. Replacement springs, sections, cables, new garage doors and more. 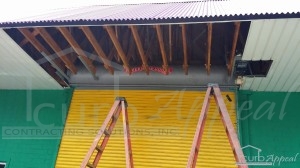 We also repair and install roll up, sectional, full view and other types of overhead doors found in warehouses, repair shops, and many other commercial establishments. New garage door opener installations and repairs. Carport enclosures, painting, interior and exterior repairs. Additions and storage buildings. We’re offering a free tune up on your garage door with any repair. Includes our thorough safety check of all major components like the springs, cables and hardware. Want to see what your Atlanta neighbors have been up to? Here are a few examples of projects that we've completed for residences and businesses around town. This rolling slat door in Atlanta has had damaged slats replaced. 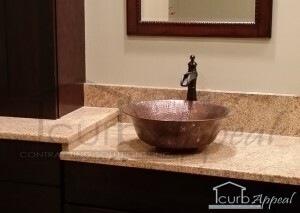 This metro Atlanta, GA bathroom underwent an extreme makeover with new flooring, shower, sink and more. 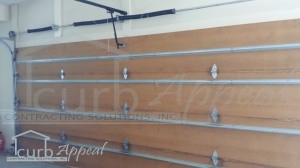 This garage door in Decatur, GA has had all three springs repaired. An extra helper spring helps the two main torsion springs balance out the weight of the door. 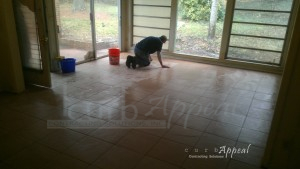 Before and after photos of ceramic tile installed in Tucker, GA. 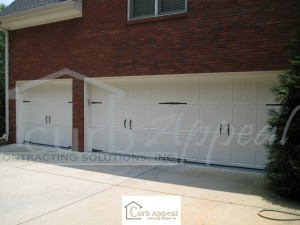 Traditional steel garage doors in an updated, carriage style design. These doors come in many different panel configurations and hardware options. 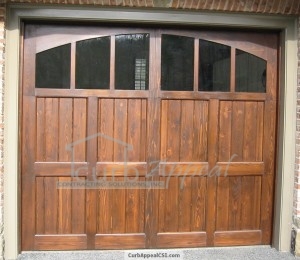 This is a custom made carriage style garage door. A stained cedar has been used for the exterior of the door. This garage door has an arched, glazed top section, but many different styles can be achieved using various materials and types of glass.